In a world filled with all kinds of fantasy "heroes".....most un-meetable....the song tries to convince his lover that he is the "best hero"......for the one he loves...... It's a song that is pure fun.....and toe-tapping..... Close your eyes and just imagine the music video! Great song. This has all the elements of a good, marketable song. Very unique, and I loved the harmonica. I was sad to hear it end. Hummed the tune afterward, as well. I really like the guitar inter-play. Cool instrumentation with the addition of the harmonica. "I Wanna Be Your Hero"
Thanks for supporting Chet Nichols! 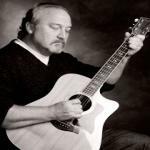 Would you like to help Chet Nichols get heard by industry pros by buying them a song submission credit to Broadjam Music Licensing Opportunities?